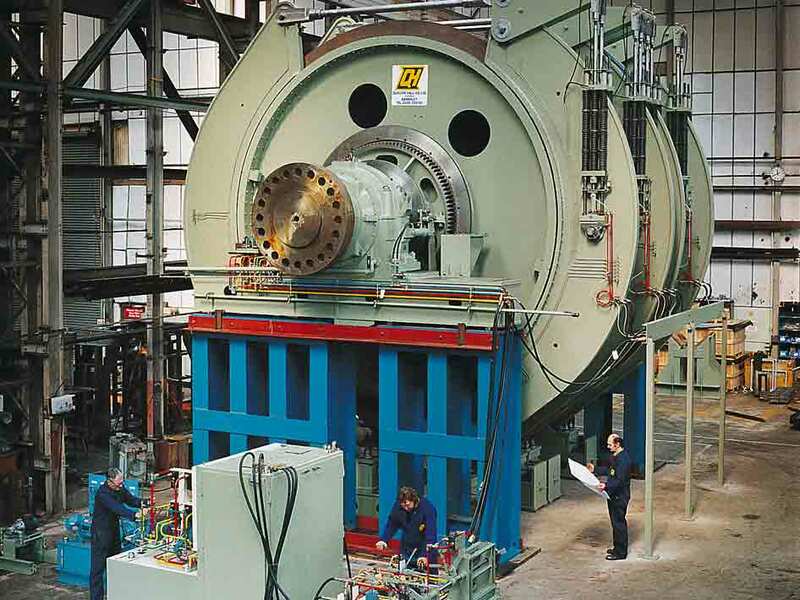 Design, manufacture, supply and supervision of installation of a new double drum winding engine for access to a shaft some 1562m below ground. 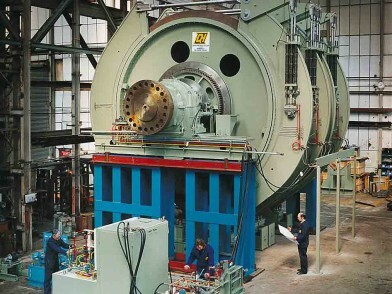 The men/material winder consisting of a 5.5m double drum winder operating on a cage/counterweight system with automatic and manual controls. Power provided from a 1720kW direct coupled motor. The loose drum operated through a multi-tooth clutch which slides on the drumshaft splines to engage or dis-engage the loose drum during level changes.